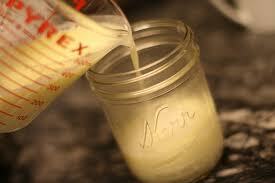 Learn how simple it is to make your own rich, deeply moisturizing lotion at home. Why pay money to buy expensive lotions and creams to only wreck your skin with chemicals and still have dry skin, leaving you feeling dissatisfied? Some you might already have on hand at home! Customize your lotion with different Essential Oils such as Lavender for relaxation or Peppermint to energize. When it comes to packaging, a jar of homemade lotion tied with a piece of raffia or ribbon makes an inexpensive, yet really cool gift. A great base is Shea Butter and for those of you with really dry skin, the relief Shea Butter provides cannot be beat. Shea Butter is excellent and is used in so many lotions. 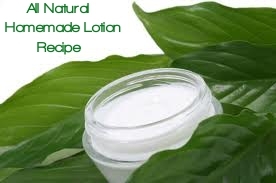 It has a creamy, moisturizing property that is great for skin and makes a wonderful base for a lotion. Try combining both cocoa and Shea Butters in your lotion for an extra moisturizing cream. 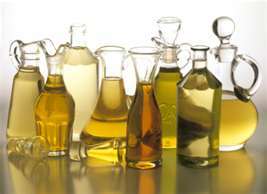 Many different oils can be added to your lotion as well, such as almond oil, avocado oil, jojoba oil, even olive and sesame oils. The bonus is that all of these can be easily purchased here, at Mind Body Soul Essentials! There is still plenty of time to purchase your ingredients and make your lotions for holiday gift giving! 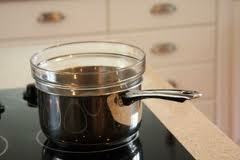 Make your own double boiler to melt your ingredients. Use a medium-size bowl that can handle high temperatures (glass) and a cooking pot that is a little larger than your bowl. Fill the pot with a few inches of water. Add your ingredients to the bowl and slowly heat them over low heat. Low heat is the more gentle way to melt your ingredients to get the right fusion. When heating ingredients, the best way is slow and low. Stir the ingredients with a spoon or other utensil, if you need to. Once your lotion has melted, add a drop or two of your favorite Essential Oil. If you don’t know which Essential Oil you want, go here for Essential Oils and to learn what properties they have and what they smell like. Homemade hand creams with light scents are perfect holiday gifts for friends and family! You can whip up a basic hand cream recipe and then customize each container with its own scent, or use a neutral fragrance on the whole batch. Mix together 1/4 cup beeswax, 1/3 cup avocado butter, 2/3 cup shea butter and 3/4 cup coconut oil in your double broiler over low heat. Mix frequently until completely melted. Remove mixture from heat and let cool for three minutes, stirring frequently. Add 6 drops Rosemary, 4 drops vanilla, 2 drops Lemongrass and 2 drops Sandalwood Essential Oil. Mix well, stirring for at least one full minute. Pour mixture into containers and let cool. To create a healing hand cream with a refreshing aroma, use Spearmint and Eucalyptus Essential Oils. Add 3 tbsp. beeswax, 3 tbsp. coconut oil, 1/3 cup cocoa butter and 1/3 cup jojoba oil to a double-boiler over low heat. Stir frequently until everything has melted completely. Remove mixture from heat and keep stirring slowly for two minutes. Add 7 drops Spearmint and 6 drops Eucalyptus Essential Oil. Mix well, stirring for another full minute. Pour mixture into a clean container and let cool. Makes about 1 cup of hand cream. Lemon Essential Oil and All of the Wonderful Things It Can Do for You! Lemon Essential Oil Uses & Benefits! Steam inhalation with Lemon Essential Oil – Fill a large bowl or pan with boiling hot water and put in a few drops of lemon essential oil. Place your head over the bowl and then place a towel over your head and the bowl, (kind of like a tent so no steam escapes). Take a few deep breaths, breathing the vapors in deeply for a couple minutes. Diffuse for the scent, to disinfect, to neutralize odors and to perk up! Put a few drops in some water and boil on the stove or put a few drops in a diffuser. Fill the top of the diffuser with water and add a few drop in & light the candle underneath! Lemon Essential Oil is machine expressed from the ripe peel of the lemon! Lemon Essential Oil is an insect repellant! Lemon Essential Oil is used to fight against oily skin and hair. It also has cleansing properties and is often an ingredient in homemade hair products.If you go into the sun, the Lemon Essential Oil will react to lighten your hair making highlights, if applied in the right manner. Detox! Lemon Essential Oil has detoxification properties. Blends With: Benzoin, Chamomile, Eucalyptus, Frankincense, Grapefruit, Lavender, Orange, Rosemary, Sandalwood and Ylang Ylang. Hope this opened you up to new ideas and to maybe try some Lemon Essential Oil! It’s great!